Femi Ogbonnikan writes on the role of the “Lagos Cabal” in the emergence of governors in Ogun State, inconclusive projects of outgoing Governor Ibikunle Amosun and the current dust being raised by Adekunle Akinlade, and his party, APM, alleging a “miscarriage of justice” in the declaration of the APC candidate, Prince Dapo Abiodun, as winner of the Ogun State governorship election. Thus, Akinlade and the APM have approached the state’s Governorship Election Petition Tribunal, seeking redress for what they described as “massive electoral fraud” during the poll. Apart from the civic responsibility every electorate above 18 years of age enjoys, as enshrined in the 1999 Nigeria Constitution, the rights to choose whoever to represent him or her resides in the power that confers such a privilege. On Saturday, March 9, the electorates in Ogun State spoke in unison and cast their votes for Prince Dapo Abiodun, as governor-elect. After a tortuous journey that culminated in his electoral victory, Abiodun is now the beautiful bride of Ogun State, just to liken him to the narrative of a popular literature, “The Beautiful Bride”, as published by a renowned playwright, Olajire Olanlokun, in 2002. Abiodun has emerged to save the state from being plunged into further debt and to set agenda for a new dawn. By and large, the history of political development in Ogun State, since the birth of the state in February 1976, is incomplete without unveiled references to the input of the “Lagos cabal,” that has contributed (in one way or another) significantly, to the emergence of every successive governorship candidate. Beginning from the second Republic on October 1, 1979, that threw up Chief Bisi Onabanjo (now late), through the third Republic (Aremo Olusegun Osoba) in 1993, though ephemeral, and to the fourth Republic in 1999 that saw the re-election of Aremo Olusegun Osoba. The same feat repeated itself in 2003, which brought in Otunba Gbenga Daniel, and subsequently, the outgoing governor, Ibikunle Amosun, in 2011. No single former governor of Ogun State emerged without the strong support base of the ‘Lagos cabal”. All of them rode on the back of their benefactors to assume the coveted office. With a particular reference, the outgoing governor, Amosun was a “child of circumstance” at that time in 2011, during the quest by the progressive elements, led by Asiwaju Bola Tinubu, the then Lagos State Governor, to oust the PDP from power in the Southwest. Tinubu took up the gauntlets and dared all the odds, despite the fact that the PDP, led by Chief Olusegun Obasanjo, controlled power at the center, with the active support of the former governor of the state, Osoba, erstwhile Osun and Ekiti governors, Chief Bisi Akande and Otunba Niyi Adebayo, respectively. 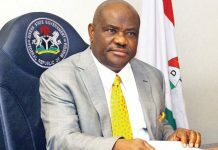 A capable and competent candidate who could wriggle power from Daniel, who was the then PDP governor, was sought after. 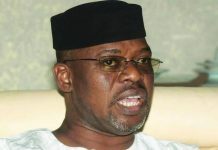 Dr. Remi Bakare (Ogun Central) and Engineer Temitope Kuyebi (Ogun West) who were early favoured governorship candidates of the then Action Congress (AC), were prevailed upon to step down for Amosun who was of the All Nigeria Peoples Party (ANPP) and was given full landing to fly the Governorship ticket of the AC. The “Lagos cabal” threw its weight (both financial and moral resources) behind Amosun’s election in 2011. Back to Prince Dapo Abiodun, he would have a big task ahead when he assumes office. This is because there are questions about a good number of projects embarked upon by Amosun during his two terms. For instance, the President Muhammadu Buhari Estate located at Kobape, along Lagos/Sagamu road, Abeokuta is still at a standstill. After the President himself commissioned the project well over three years ago, no single structure has been built on it, likewise other projects like Ijebu-Igbo flyover, Ofada road, Ijoun/Ilara (Ogun West) road, Agbado-Akute road, Ilaro flyover, Ijebu-Ode/Itele/Ijebu-Mushin road and others have suffered incompletion or rather, undone. “Specifically, President Muhammadu Buhari Estate is a disaster. Name any project Amosun has completed. Amosun is just embarking on wasteful spending with the meager resources of the state government,” said a former member of his cabinet who craved anonymity. Meanwhile, Akinlade’s position that the Ogun State Governorship election was rigged has been attracting negative reactions. A political science student of the University of Lagos, in a piece, “Before Akinlade, APM abuse Our Sensibilities and Collective Decisions”, on his twitter@Adebash said, “In a liberal democracy, of course, no doubt, he (Akinlade) had every right to challenge the outcome of the poll at a competent court of jurisdiction, but it is an abuse on the peoples’ collective decision to describe the most peaceful and well-conducted poll as characterised by rigging. “Ogun is, no doubt, a politically sophisticated state with well-enlightened minds who can make a difference between the government of the people and for the people, and a government for the extremely few. “How best did this infant party want the people to decide when its godfather who ruled the state for a two-term, took the people for granted in the presence of abundant resources? No backward movement. The good people of the state have taken a wise decision on March 9, thus, putting an end to the political dynasty of the “tall cap man”, who did not only play God, but also took the people for a ride. They thought the people’s conscience could be bought easily with billions of naira that was doled out during the electioneering period. Also, in his write-up published in The Punch on August 18, 2017, Anthony Kila took a swipe at the waste of the state’s resources, especially the President Muhammadu Buhari Estate. 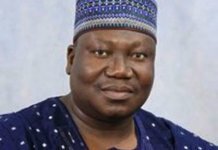 An APC chieftain and prominent member of the House of Representatives, Hon Kayode Oladele, who is representing Egbado North/Imeko Federal Constituency, Ogun State, berated the current attacks on the governor-elect by some paid agents doing the bidding of their master on the pages of some select newspapers. According to him, the writers of these articles are entitled to their own opinions, but they have failed woefully to convince right thinking people that they are not fifth columnists hired to undermine the incoming administration in Ogun State and build positive perception around the outgoing administration. He said: “According to Douglas Adams, everything you see or hear or experience in any way at all is specific to you. You create a universe by perceiving it, so everything in the universe you perceive is specific to you. In psychological foundation, this type of write-ups will qualify as the writers’ social perception which in turn, helps to satisfy their internal needs or craving. “A person trying to satisfy his internal needs may not see anything wrong in comparing apple with orange or throw the baby away with the bath water because he is already suffering from thought disorder jaundice or what behavioural therapists would call thought blocking syndrome. “However, as clearly pathetic and unreasonable as his illogicality appears to the whole world, including the people around him, the most awkward part of it is that, he would still expect everybody to accept his postulation, reasoning or belief as real no matter how repulsive, horrendous, absurd, distasteful or repugnant to the pervading public opinion just as has been demonstrated by this writer”. Concluding his response, Oladele advised the governor-elect, Abiodun to be “unperturbed; stay focused, remain calm, be collected and undaunted, even in the face of unwarranted intimidation or bully. “There are substantial inequities to address, so many wrongs to right and far too many wounds to heal in the state. This way, the good people of Ogun State can say that a Daniel has come to judgment,” averred the lawmaker. Also, Mr. Wale Adedayo, former Ogun State Chief Press Secretary (CPS), warned the outgoing governor not to set Muslims against Christians in the state. 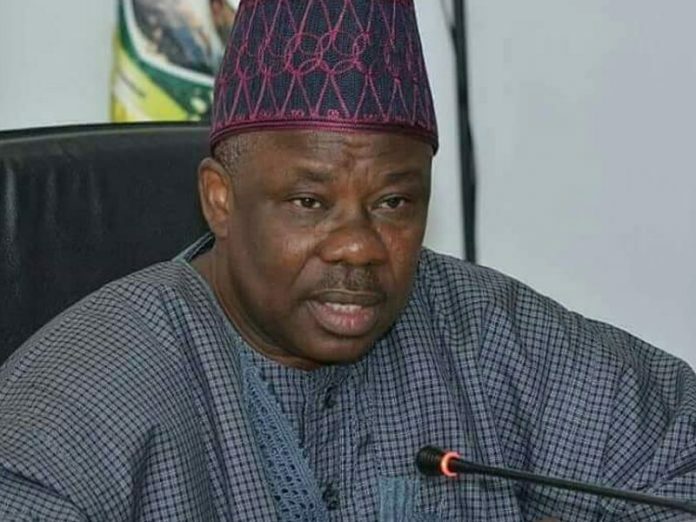 In his piece, “Amosun shouldn’t set Muslims against Christians in Ogun State”, posted on his Facebook wall on Sunday, April 7, 2019, said thus: “Ogun State Governor, Senator Ibikunle Amosun, is certainly surrounded by persons who may not be able to look at him and tell him certain home truths. And it is another “A o m’Erin j’Oba’ (a Yoruba folklore of deceit). “Casting undue aspersions on religious leaders, like Pastor Enoch Adejare Adeboye and others like him for receiving the Ogun State Governor-Elect, Prince Dapo Abiodun, is certainly the work of a person destined for perdition. Where was election rigged by APC in Ogun State? In Amosun’s dreams? If President Buhari had already behaved as a true leader of the party, there is no way an Amosun would have been part of the last elections. He would have been removed from office and possibly remanded by now. That is an incontrovertible fact! 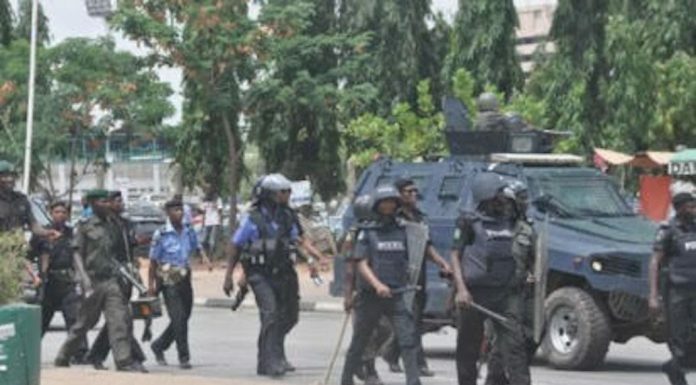 “But since we are concerned about the last elections, Amosun may want to look in the mirror and confirm how many APC members were arrested by the law enforcement agencies for electoral malpractices. 99 per cent of those arrested were his top aides. They were caught in the act.